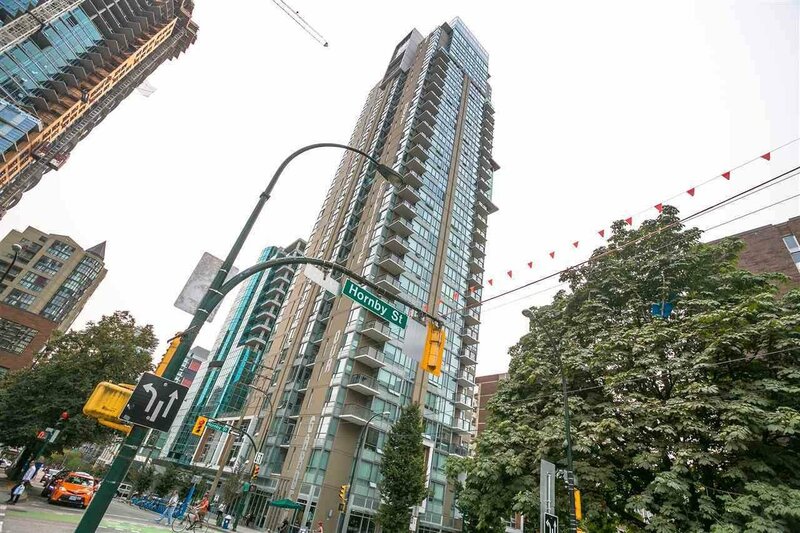 905 1308 Hornby Street, Vancouver - SOLD | Jenny Wun - Oakwyn Realty Ltd.
Three years new high-rise condo by Concort. This exceptional one bed + den suite with bright, open floor plan features open living space, 9' ceiling, gourmet kitchen with granite counter tops and modern appliances, in suite laundry. There include gym, party room, out door patio. Open house Sep 9,10, 2017 Sat and Sun 2:00-4:00pm.